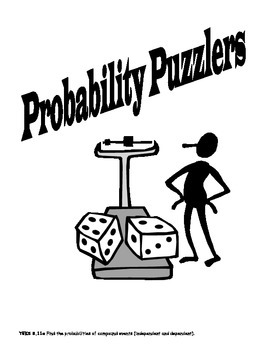 Find the probabilities of compound events (independent and dependent). 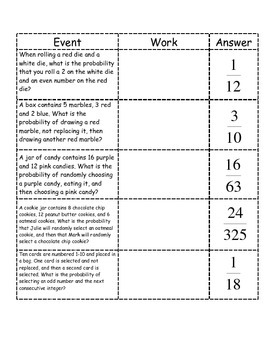 •	Take the event cards and the probability cards out of their baggies. •	Separate the cards so that each event matches its correct probability. •	On the template write a short ‘title’ under event. 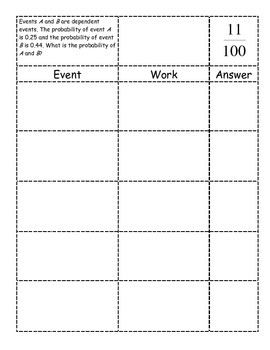 •	Show your work for calculating the correct probability in the work column of the template. •	Write the answer in fraction form on the template. 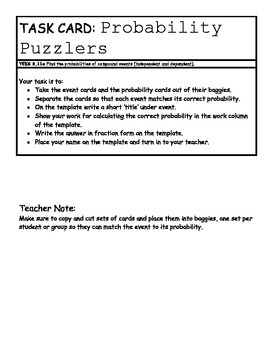 •	Place your name on the template and turn in to your teacher.